Shakespeare's timeless story of revenge, corruption, and murder is considered one of the greatest works in the English language. Prince Hamlet sets out to avenge his beloved father's death at the hand of his uncle Claudius - but Hamlet's spiral into grief and madness will have permanent and immutable consequences for the Kingdom of Denmark. 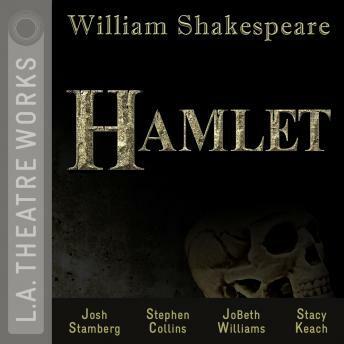 Composed over 400 years ago, Hamlet remains one of the theater's most studied and performed works, and is presented here in a stunning, sound-rich full-cast recording. Directed by Martin Jarvis. Recorded at the Invisible Studios, West Hollywood in August, 2011.